Just five days removed from The Masters, some can be forgiven for feeling a major championship hangover, come Thursday, but in the RBC Heritage we have a great event in an unfortunate slot on the schedule. Despite coming a week after the first major of the year, there are some stellar players in the field, which is no small part down to the event’s title sponsor. RBC sponsor; World No.1, Dustin Johnson, Adam Hadwin, Brandt Snedeker, Jim Furyk, Matt Kuchar, and a few more, all of whom will be teeing it up here. Harbour Town Golf Links, Hilton Head, 7,101 yards, Par 71, Bermuda Greens. Ranked 29/50 in difficulty last season. A tight, fiddly track that wreaks havoc should the wind get up, this really is a levelling course on the PGA TOUR. A lot of venues are about who can hit it the furthest, but not here. At Harbour Town you need to hit plenty of the tough greens, which is only possible if you have positioned yourself well off the tee. If you don’t hit the most greens here, as a few of the recent winners haven’t, you must bring your best Scrambling week with you, in order to avoid bogeys. Looking at the winners list, there’s not a single player on it that you would mark down as a big hitter, and that’s because that strength is nullified on this course, where accuracy trumps distance. With this in mind, I think it is essential to look into players Green in Regulation numbers in recent weeks, as well as their ability to Scramble. As you can see, only McDowell and Furyk ranked inside the top-10 for both categories, but those that ranked outside the top-10 in one category, off-set it by ranking 3rd or better in the other, so it suggests you need to be at the very top of the field in at least one of these areas. Bryan got the win last year, ranking a poor 66th in Greens in Regulation but a wicked short game (1st in Scrambling and 11th in SG: Putting) ensured victory. This is evidence of course, that you can get a win here without hitting as many greens as the rest of the field, however generally speaking, there’s more to suggest hitting greens is key and I wouldn’t expect this year’s winner to rank as low as Bryan did in GIR for the week. Elsewhere, a return to Bermuda greens will give certain players a bump in putting statistics, so it is worth looking at who performs better on that surface. Course form has stood the test of time here pretty well, with perennial runner-up (six times) here, Luke Donald constantly performing well here, even when lacking current form. Form on Pete Dye courses in general will be helpful, with TPC Sawgrass a front-runner to consider, whilst good efforts at the RSM Classic, Sony Open and OHL Classic at Mayakoba (wind-affected courses that measure right around the 7,000 yard mark) would also be valuable pointers. One last note is that 28 of the last 35 winners played at Augusta the week before, however just two of the last six winners who played at Augusta the week before, actually made it to the weekend there. In short, it looks as though playing at the Masters the week before is almost advantageous, but making the weekend, is not critical. The courses are so different, that those that perhaps struggle at Augusta due to length, will feel right at home here. Kuchar did finish 5th at the Masters and then win here a week later in 2015, whilst Book Weekly also won here in 2008 after playing four rounds at Augusta and finishing 20th. The numbers are worth mentioning, but all in all I think course suitability here is still more important to factor in, as opposed to fatigue from the Masters or a lack of sharpness from having the week off. Kevin Kisner, a player who has been struggling for much of the season, has found his game again in his last two starts and can add to that here. After getting through to the final of the WGC Match Play, Kisner was well beaten in the final, by Bubba Watson who was not going to be denied. Last week though, Kisner teed it up at Augusta, where he had made the cut on his first two starts, but couldn’t crack the top-30 (T37-T43). This time though, he finished a respectable T28, largely thanks to a Saturday 69 on a course that he really shouldn’t be expected to perform well on. His first start of the season resulted in a T4 finish at the RSM Classic, an event he won in 2015 and also a correlating course we have a keen interest in. Two of Kisner’s four runner up finishes in 2015 also came on Pete Dye courses, when finishing T2 here and in the same place again at the Players Championship. Two top-5’s at the Sony Open in previous season’s also suggest he likes similar layouts to this and there’s a chance he could go well again this week. After missing the cut on debut in 2011, he has since gone on to finish 38th, 2nd, 69th and most recently 11th here and I expect him to go better this time around. 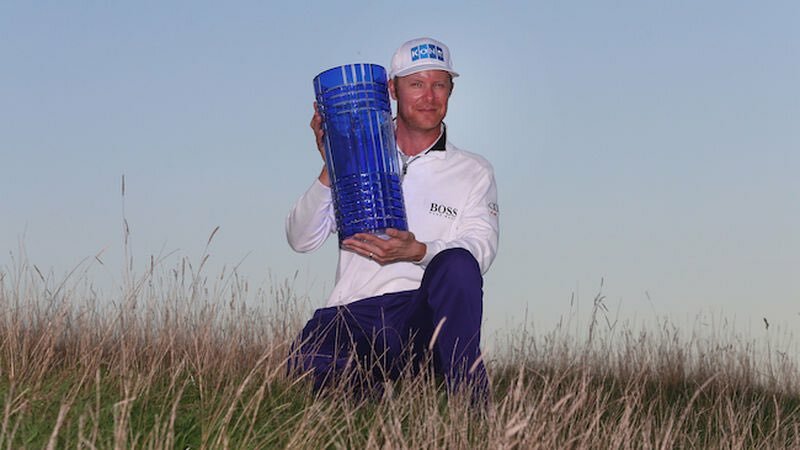 He was unfortunate to lose out in 2015, with Jim Furyk getting the better of him in the play-off after shooting 63 on the Sunday just to match Kisner, who had shot 64 in the final round himself. At 40/1, he looks good value to perform at an event he would have been 25/1 at best to win in the past, now he’s rounding into some good form once again. DeChambeau was a fancied outsider last week at Augusta and whilst he could only limp to a T38 finish, he made another cut and improved over the weekend. After opening with two rounds of 74, Bryson shot 72-71 on Saturday and Sunday and now he gets the chance to play a course where the onus is not on his driving. DeChambeau isn’t particularly Scrambling well (127th), nor is he driving the ball straight (81st in Driving Accuracy), but he will be able to take less-than-driver off the tee this week, which may well work in his favour. He is hitting enough greens (37th in GIR) and has flashed brilliance this season, notably when 2nd at Bay Hill. At Bay Hill it took an in-form Rory McIlroy to deny him his second win on Tour in as many years, and he will be looking for another chance of silverware here. The 2017 John Deere Classic winner finished in a tie for 4th on his debut year two years ago and whilst he missed the cut 12 months ago, I am happy to give him another chance. DeChambeau finished 14th at the Mayakoba earlier this season, a bonus bit of optimism this week and if he can build on his performances in Phoenix (5th) and Bay Hill which have both come on his last six starts, he can certainly feature here, in a field where a lot of the top players are absent. Cook played in his first Masters last week, and struggled, missing the weekend due to rounds of 74-80 on Thursday and Friday. This doesn’t concern me though, as Augusta is not the sort of course that plays into Cook’s strengths, who moreover anything else, doesn’t hit it that far off the tee. Factor that in with the fact it was his debut on a course that rewards experience, and him missing the cut should be no surprise. He played exceptionally well to start the season, getting a win and five more top-25 finishes, in eight appearances, making every cut in the process. One of those top-25’s came at the Tournament of Champions however, so a T22 finish should really be chalked up as disappointing in a 30-man field. Again though, this isn’t a course you’d expect him to compete at, and his form at other events is far more intriguing. Cook won the RSM Classic, finished T18 at the Sony Open and also made the weekend at the Mayakoba (T50) after shooting an opening-round 66. All these performances suggest this style of track suits Cook’s game. Whilst his current run of form (MC-T49-T40-T36-MC) suggests Cook is struggling of late, I remain optimistic regarding his chances this week, as this test looks right up his alley. Another positive factor to bear in mind, Cook has veteran caddie, Kip Henley on the bag. Henley was previously Brian Gay’s caddie, and was so when Gay won here by ten strokes in 2009. This experience may well be invaluable to Cook, who will be looking for his second win of the season. At 100/1, Cook looks overpriced to rediscover his early season form, on a course that should suit despite this being his debut. Following straight on from the fact the information that Gay won here in 2009 by ten strokes, he has every chance of a repeat performance here, or at the very least threatening the top half a dozen players. Gay has been producing some eye-catching performances this season, despite a run of three straight missed cuts, before a T22 finish at Bay Hill last time out. That effort at Bay Hill though was his sixth top-25 finish of the season, performing well at some correlating events. His second top-25 of the season came at the aforementioned OHL Classic, followed by a 3rd place finish at another correlating event, the RSM Classic. Top-9 finishes at both the Phoenix Open and Pebble Beach suggest his game is in good enough shape to contend across several venues this season, and I am happy to take a flyer on him, at a course we know certainly suits his game. A 9th place finish here in 2006 and 6th place finish last season suggest that his win here in 2010 was no fluke, so whilst he is in the form he currently is this season, he should relish the chance to play here again. Gay ranks 10th in Scrambling this season, and whilst his Green in Regulation figures (162nd) leave plenty to be desired, he is hitting enough on the weeks he’s played well. He ranked 23rd in the field in Greens in Regulation at both Pebble Beach and the Phoenix Open and 35th at the RSM Classic. At 125/1 I thought he was overpriced to perform well on a course he’s done so before, given the promising signs he’s shown this season.